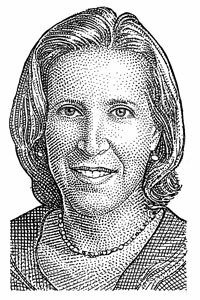 You’d have to search a long time to find someone who’s been closer to the evolution of Google than Susan Wojcicki. It was in her rented garage that Sergey Brin and Larry Page launched the company, which she joined in 1999. Today, while much of the attention on Google focuses on Android or Chrome, Gmail or YouTube, Wojcicki oversees the operations from which Google generates the bulk of its revenue and profits: AdWords, AdSense and DoubleClick among them. And in October she was made one of Google’s eight senior vice presidents. She’s lately been quoting research from Forrester, which found that while 42 percent of people do research online before buying something, only 7 percent of those purchases happen online. Mobile advertising, she has argued recently, can help bridge that gap. Expect lots of discussion around that stemming from last year’s $750 million acquisition of mobile advertising firm AdMob. Meanwhile, let’s be honest: Everyone wants to know what really happened between Google and Groupon. 8:36 am: Everyone is seated in the ballroom, and the session with Wojcicki is about to start. 8:39 am: Walt and Kara have come out onto the stage, thanking the audience for their support at big D and this week at D: Dive Into Mobile. 8:43 am: Walt and Kara hand the stage off to Peter Kafka, who will be conducting the interview with Susan Wojcicki. 8:44 am: We’re getting started. Peter Kafka is interviewing Susan. She says when she first rented to Larry and Sergey, they weren’t allowed to come in the front door. 8:45 am: Susan: I charged them $1,700 a month in rent. 8:45 am: Peter: Let’s start with mobile. It’s a big business but small for Google at $1 billion. Break out that billion dollars. Susan: We don’t break it out. But they are all growing. To give you an idea of the growth, we saw a 4x increase year over year in the number of searches. 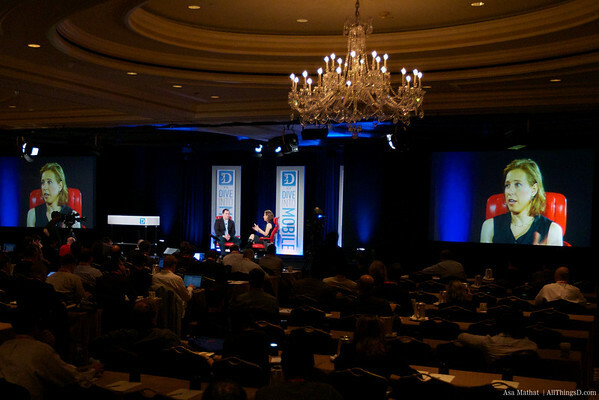 AdMob has doubled, and is doing more than a billion ad requests per day. 8:48 am: Mobile brings an opportunity not just to bring people to a Web site but to a store. We just did something with Google Ad Goggles, with Buick, where you can see a magazine ad, scan and that takes you to an ad site. 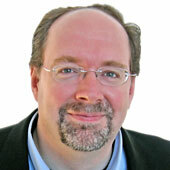 8:51 am: Peter: In-app advertising is a small opportunity, but Google owns it. Susan: We’d like to have everyone be an advertiser. We think about having very mobile-specific campaigns. Our barriers to entry are a lot lower than those at Apple. We offer all the formats like video. We want it to be easy to advertise, we have a lot of systems that measure quality. 8:52 am: Peter: Who’s running AdMob day to day? Original management has left. Susan: We’ve taken different parts of it and integrated it into our advertising and sales organizations. [Former AdMob CEO] Omar [Hamoui] has left for personal reasons, but pretty much most of the staff who joined with AdMob have stayed. The goal is how do we continue to innovate on that platform. Peter: Do you view the phone differently from a privacy standpoint than on the PC? Susan: I think the phone is a really personal device in a lot of ways. If you drop your phone or lose it there’s a moment of panic. On the other hand there’s a lot of control that users have. 8:57 am: Peter: You guys and the rest of the ad industry are telling Washington that they will self-regulate around privacy. FTC says that’s not going to fly, and they want something like an opt-out browser. Susan: Google is a consumer brand and people need to be comfortable. If we were just an advertising brand we wouldn’t have the same concerns. We’ve always tried to promote transparency and choice among our users. We didn’t have a cookie on the AdSense network until about a year ago. There were a lot of things we couldn’t do. 8:58 am: Susan: We’re always interested in what’s being proposed. We’ll always participate in any discussion around proposals to improve privacy for users. 8:59 am: Peter: Do you think users really care about this? They’ll say they care if you ask them. Practically, do they really care? Susan: People care. They also want to have good content. And they want the advertising to be relevant. We see advertising as information, and as long as we can make that information useful, the better it is. 9:01 am: Susan: We’ve had ads in Gmail since Gmail first launched. Ads get a bad reputation sometimes because theyr’e not useful. They’re not relevant, or slow. If you’re planning a trip to Hawaii, and see ads that are related to that, that’s useful information. 9:02 am: Susan: The moment that our products are not as good, people will go somewhere else. Peter: So you were employee No. 18; now there are 23,000 employees at Google. Talk about how the culture has changed over time. Susan: Google is a much bigger company obviously. We’ve tried to have a lot of different divisions and groups and have given them autonomy. Our display group is run like a separate group within Google. The secret is to break into groups that are manageable, and give them as much autonomy as possible. 9:05 am: Peter: What are we to read into the fact that you’re offering employees bonuses to stay at the company? Susan: Our employees are really valuable to us. They are basically our business. Google has been doing well. As much as possible we’re trying to share back with the employees. They will continue to create a lot of value. 9:06 am: Peter: If you’re coming to Google as a hot young engineer out of Stanford, what’s the most compelling thing you can say to bring them on board? Susan: Google’s scale and platform. If you have a passion, and want to get things done. [Cites Andy Rubin, and the scale he’s working at now vs. when Android was a start-up.] When you do something, it matters. Susan: Each deal is different and you have to consider how best to integrate them. 9:09 am: Peter: What’s the product you’re most excited about? Susan: Mobile ads. How can we enable you, when you’re walking around, to find out the best local offers around? As an advertiser, how can I find out if someone saw my ad and went to a store? The local market is a huge market, we’ve always wanted to be in it. 9:09 am: Now going into Q&A from the audience. 9:13 am: Q: What do you view as being so hard about local? Susan: The reason local is hard is because it needs to be simple. For small businesses, they don’t have a lot of time. You need to create a model that works for them. And it needs to be easy for them to sign up. On the back end, everything needs to just work for them. 9:15 am: And we’re done! Nothing wrong with MySpace price. Just our totally screwing up every way. Agree Facebook revenues will zoom, but still Apple cheap.